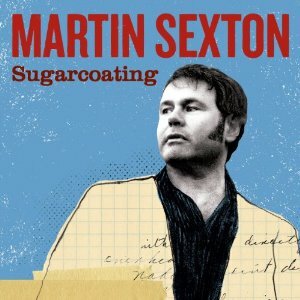 Martin Sexton's latest album, "Sugarcoating" is out now. The singer/songwriter looks as this album a little differently than his previous ones. "It's different from the others in that it tends to show more social awareness and consciousness than my previous recordings," Sexton said. The talented musician recently stopped by to talk about music and how he got involved at an early age. Q – Real quick, how did you get involved with music? A - I didn't get involved with music, it got involved with me and it's been a wild adventure ever since. Q – It seems as if you're in music today you're either a pop artist or a hard rock band. Your music has a different sound than what is out there today. How would you describe your music? Q – How do you feel about shows like "American Idol" that promise fame and fortune for doing hardly anything but winning a contest? A - As I've never seen the show, I wouldn't know. Q – Your new album is called "Sugarcoating." How is the album different than past ones? A - It's different from the others in that it tends to show more social awareness and consciousness than my previous recordings. Q – What's your favorite song on the album and why? A - My songs are sort of like children - I love them equally and the favoritism varies from day to day, sometimes influenced by who's sending the biggest checks home to papa. Q – How have you grown as a musician from when you first came out on the scene to where you're at in life now? A - I've grown into my own where I know my own voice and I know my own my message where I'm not trying to tow someone else's line. Pick up Martin Sexton's "Sugarcoating," in stores now. 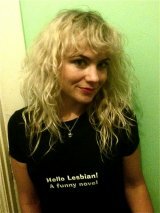 Visit him on the web at: www.martinsexton.com.